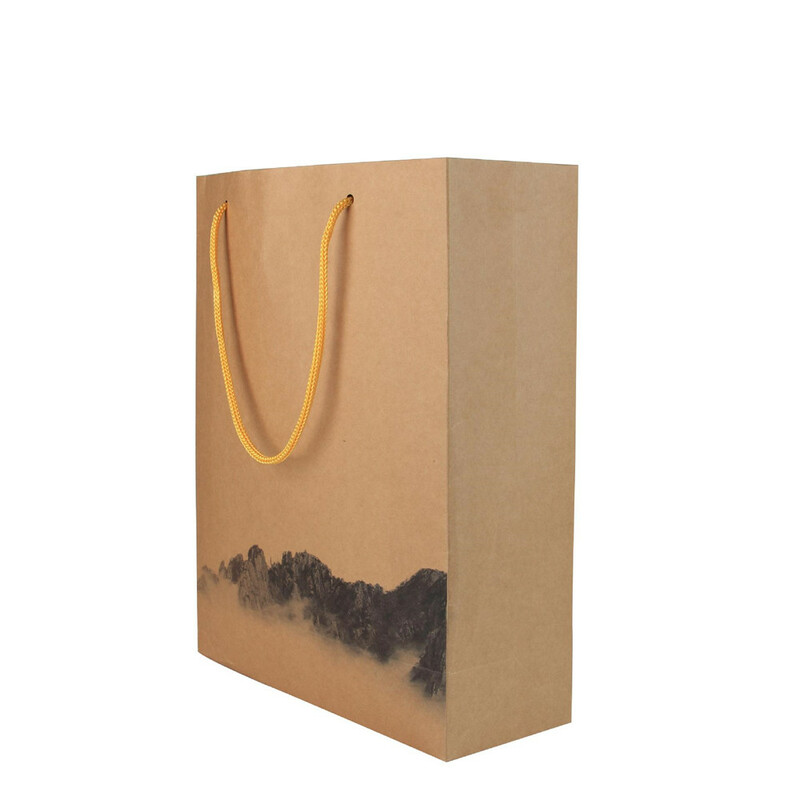 Product categories of Paper Bag, we are specialized manufacturers from China, Paper Bag, Paper Ziplock Bags suppliers/factory, wholesale high-quality products of Waterproof Paper Bags R & D and manufacturing, we have the perfect after-sales service and technical support. Look forward to your cooperation! Kraft paper bags are non-toxic, odorless, and non-polluting. They have the advantages of environmental protection, simplicity, aesthetics, etc. They are in line with national environmental protection standards. They have high strength and high environmental protection and are one of the most popular environmental protection packaging materials in the world. Making kraft paper bags from kraft paper is becoming more and more widely used. Shopping in supermarkets, shopping malls, shoe stores, clothing stores, etc., is generally provided with kraft paper bags, which are convenient for customers to carry purchased items. For food packaging materials, its primary function is to provide convenience and practicality. At this point, the strength of the Paper Bag makes it an absolute advantage, and only a sufficiently strong outer package can make the food not fall off. Of course, in terms of liquid food packaging, the paper bag can be kept in a moist environment, so it can prevent the outflow of liquid foods, and better play a role in packaging.